Together but so far apart. - BODIE 3.7 . you'll never walk alone ! Together but so far apart. Brilliant shot! The lighting, contrast etc. is perfect. Thankyou .I enjoyed playing with this image so i'm glad you like it and thankyou for your comment . Great capture, and I love how you've edited the image. Thankyou so much for looking and i'm so pleased that you like this. You've captured the perfect moment in this scene - both angry - but Doyle looking a bit ashamed and worried and Bodie angry but showing a bit of deep thinking as they stare at each other. Well done! Thankyou. 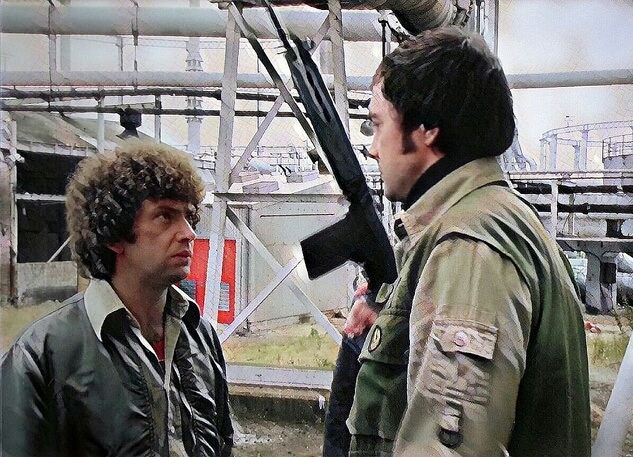 I really enjoyed playing with what for me is a wonderful dramatic scene which plays out between Bodie and Doyle . This is such a great moment of tension, in the episode, and you've captured it very effectively. Yes it is a very dramatic, tense scene which i enjoyed playing with . Many thanks to you for leaving a comment.